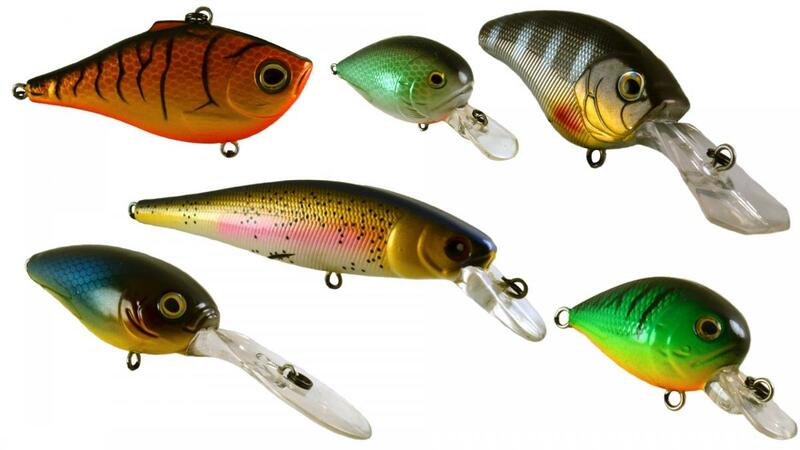 Hey guys could you recommend a website/store that sells quality blank crank baits and eyes? Preferably one that you think would ship to Canada! I was very satisfied with the service and my first bait caught fish even though it looks garish and the topcoat went badly. Even the price was good. besides the people BJ mentioned, I seriously considered Netcraft cause I thought with the stuff that I brought at netcraft, buying blanks at the same place would save money. BTW. these guys bill themselves as having the "widest selection of tackle components and lure making parts available in Canada"
there was a few things in their catalogue I didn't see in other places and seriously considered buying (a dizzying inventory of perfoot prism tape). they Also sell blanks. There minnow blanks cost quite a lot less than the ones I bought. though I have no idea of their quality. Unpaintedlures and Dakota are all I use ! I've had more guys asking about the 1.0 Squarebills similar to strike king...have not found them. I found one that looks similar to the strike king square bill but I am not sure on the size. I will keep an eye out for the Mirrolure 17MR or Rapala Twitchin Rap KO's. Thank you for the suggestions though. I buy from http://www.luremaking.com/ (also mentioned by joliepa). They have been great for me. Delivery has been as quick as 2 days here in Ontario. I just want to specify, I am not buying anything to resell and we are talking max 20-30 blanks,5/10$ worth of eyes and maybe a couple of small bottles of Createx at a time! Might want to check out www.wlure.com I bought some cheap 1.5s from them and had good luck, caught fish and held up well. Can't tell you the quality of other blanks from them though. I have a few lipless cranks on order from them right now. Oh yea they offer free shipping on everything, but be prepared for your package to take about a month to arrive because it is coming from China. Might also want to check there ebay store wlureshop. The time I bought off there ebay store took only 3 days in shipping. @Green_Fingers thats a good idea writing gift on the package! I'm going to try that thanks for the tip! @baseball24311 Thanks for the info! I'd also be interested in the Mirrolure 17MR-like blanks if anyone happens to come across them. My go to bait for inshore Alabama reds and specs. I will have to mention Wlure on EBay myself. When I ordered recently it arrived within 3 days. Did need to lightly sand a couple of the lures on the back, but quality is good for the most part. I haven't been able to find a good suspending jerkbait similar to the ito vision 110 or the lucky craft slender 112. They look good but don't suspend, they all sink. Latest I tried was Predator Baits was the closest I got to suspending. To get it to suspend I have to use smaller hooks that you want. I have even tried putting the ito vision hardware and hooks on and also the lucky crafts. Got the one to suspend but I had to leave the middle hook off. Lipless crankbait blanks....I have used do-it blanks but they are not as stable as rat-l-traps that I have stripped and repainted. Anyone have a good lipless crank similar to 1/2oz rat-l-trap or the lucky craft LV500? I have all the 1.5 and 2.5 options I need except a deeper 2.5 squarebill similar to the Lucky Craft BDS4 if anyone knows of a good blank for this. These are the blank that I just got samples of. I still have not found the MirrOlure or twitchin' Rap KO's. Let me know what kind you would like to see.